Following the tech revolution all over the globe and the many opportunities to improve the way we live, every day new start-ups are created with the aim to revolutionise technology. Over the past few years or months, some companies have evolved and are now being recognised for their excellent work in this market. According to Jamie Goulding, our Client Relationship Executive, we have been working with start-ups focused on technologies that are already making a difference in the tech market. Some of them include technologies such as Machine Learning and AI, that are changing the way we interact with products and services on a daily basis. From our experience, Customer Support and Online Retailing are utilising these technologies to provide faster, more efficient and lower cost customer service. We’ll give you an overview of some of the tech start-ups in the market today that could potentially be the next unicorn. Stellwagen Technology was founded in 2016 and is part of the Stellwagen Group, it provides technology solutions, financial, and asset management to the global aviation industry; an excellent industry sector here in Ireland. Founded in 2011, Devo aims to deliver real-time operational and business value from analytics on streaming and historical data to all business units. Founded in 2014, Leveris was created in order to deliver full-stack, standalone, core bank and lending platforms for traditional banks, challenger banks, but also consumer brands. Gitlab was created in 2014 and is recognised as a web-based open source Git repository manager, that has wiki and issue tracking features and built-in CI/CD. Also founded in 2014, Nuritas scope is to combine AI (Artificial Intelligence) and Genomics in order to find and unlock bioactive peptides that can have extraordinary health benefits. flo LIVE. was founded in 2015 and enables users to manage their devices through flo LIVE. mobile device platform. They offer a complete, cloud-based IoT ecosystem that includes a core network with integrated device management, inventory and billing services. 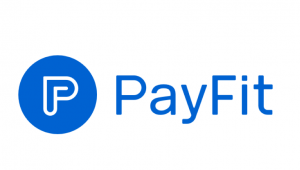 Founded in 2015, PayFit is a payroll and employee management tool that fits every SME. Not only does this platform allow you to pay your employees, but also allows companies to check their data in real-time; log employee absences, time-off and birthdays. Founded in the Spring of 2014, Konux is a Germany-based IoT company that aims to integrate smart sensor systems and AI analytics. Their objective is to deliver real-time asset insights and with the help of the right data increase quality and cost-saving activities. UrbanVolt was created in 2015 and developed a sustainable light and service model. This model allows users to have access to a cash and energy saving option. Their offer aims to retrofit commercial premises with LED lighting for no upfront cost. Zapier was founded in 2011 and it’s a 100% remote team that lives and works all over the globe to help automate the tedious parts of your job. They aim to enable companies to create effective processes through efficient computer systems to run correctly, which will subsequently empower humans to work productively on other tasks. These are some of the start-ups that are making a distinct difference in their industry. However, as mentioned in the beginning, we’re facing an era where new organisations are being created and new ideas are being developed, every day. The key consideration regarding all of this is that these companies will improve the way we live, and gift us with the tools and services that will make our lives easier. We’re excited to see what the future holds for them as a start-up, but also as consumers and users.